In line with Italy´s weak economic performance over past years, corporate insolvencies registered annual increases between 2008 and 2014, mainly with double-digit growth rates. 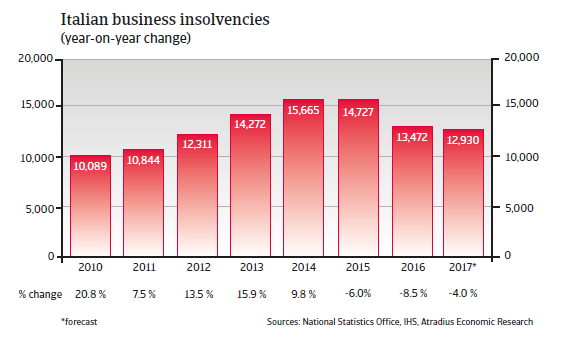 In 2015 and 2016 insolvencies finally decreased, by 6% and 8.5% respectively. In 2017 a 4% decline is expected, but the forecast number of about 12,900 cases is still more than 100% higher than that in 2008 (6,500 cases). Liquidity problems of Italian businesses are exacerbated by continuing poor payment behaviour, especially by the public sector. Moreover, Italian companies compared to their Western European counterparts, show a higher average gearing – especially short-term gearing. 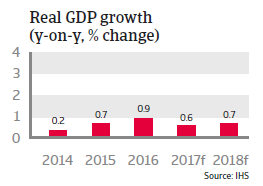 Italy´s economic rebound remains feeble, with modest growth forecasts of 0.6% in 2017 and 0.7% in 2018. The current recovery is far from stable. 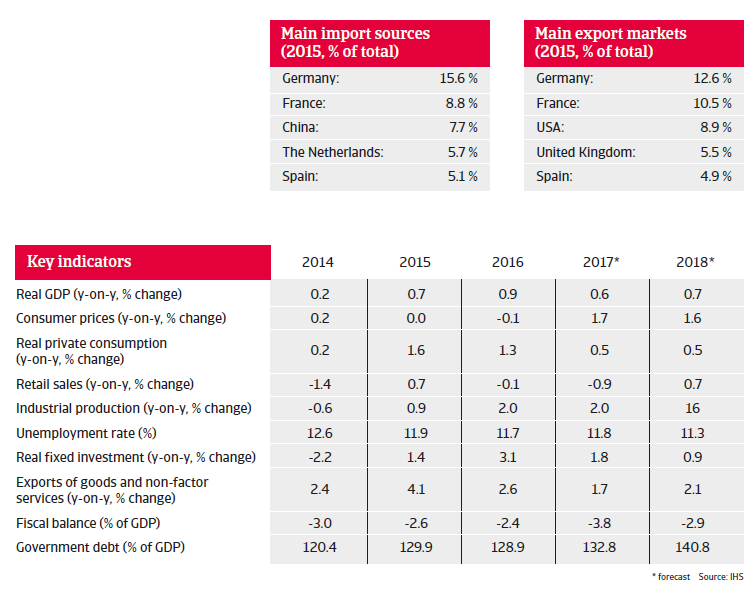 Export growth is supported by a weaker euro exchange rate, however Italy´s competitiveness has not improved against its EU peers. Reform efforts (e.g. in the labour market) have been insufficient so far. 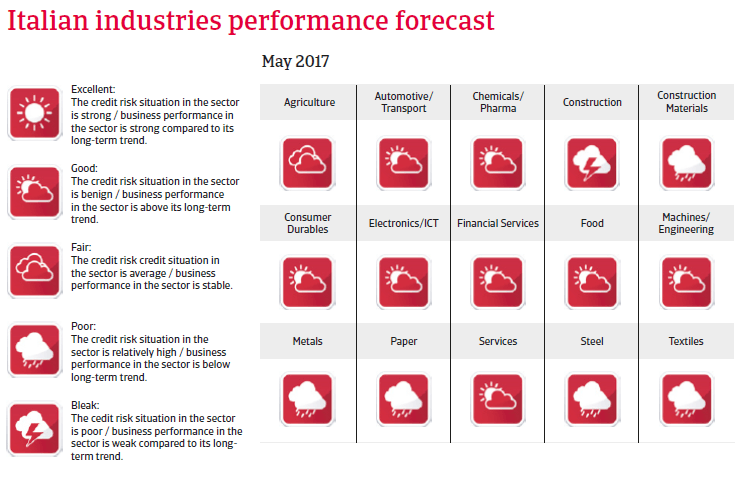 The Italian banking sector remains under pressure, and, in particular, loan provisions to businesses remain constrained. 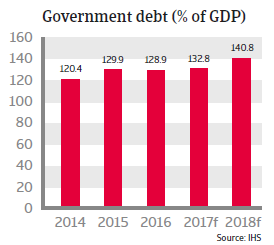 Despite some efforts for fiscal consolidation, the government debt-to-GDP ratio remains high, at more than 130%. In order to decrease the debt ratio substantially a nominal annual growth rate of 3% would be required. Additionally, political uncertainty has increased after Prime Minister Matteo Renzi stepped down in December 2016 as a reaction to the rejection of constitutional changes in a referendum. While Italy´s political landscape remains fragmented, early elections in 2017 cannot be ruled out. As a reaction sovereign yield spreads have increased since early 2017.